What can you change to increase engagement? Are you meeting them where they are? or where you wish they were? Adjust. The desire to learn and knowing how to learn will be more important than accumulated facts or skills. There are no educational emergencies. There is no homeschool guarantee. Remember unschooling is not un-everything. How will you partner with your child? How will guide your child? How will you facilitate for your child? How will you respect your child’s personhood? Notice I didn’t mention curriculum to anybody. That’s because most of you all think the curriculum is the most important thing anyway, so you’re all obsessing over choosing curriculum, and you don’t need a reminder. So instead of a reminder to choose a curriculum, let me offer you the article “How to Choose the Best Homeschool Curriculum,” which explains the many things to consider when choosing a curriculum. Maybe you don’t even need one! You might also like the free homeschool planners by TheHomeSchoolMom. 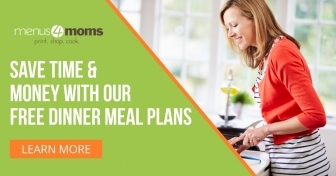 They work for a variety of homeschooling styles as well as helping you plan other household activities that are important to a homeschooling family. Finally, to everyone, remember that homeschooling is not school. 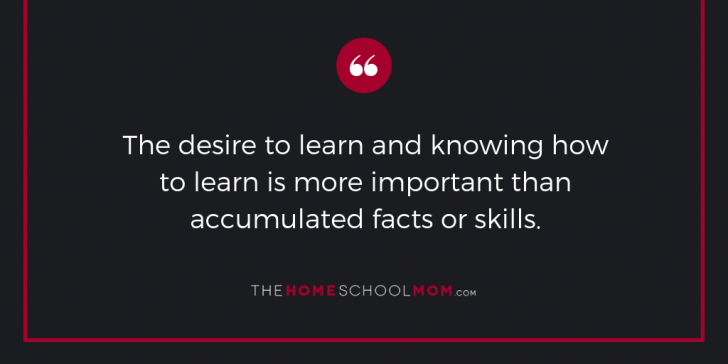 Make homeschooling your own, and make it about connecting with your children, which is what provides the context for all the learning! Many of us have a school model of education in our minds because that’s how we grew up. Experienced homeschoolers know, there are many “school things” that homeschoolers do not have to do. Enjoy your children, and aim for them to enjoy learning. Anything less won’t provide the full benefit of homeschooling. Want more information? Visit our homeschool blog, where you can find hundreds of posts on dozens of topics related to homeschooling! My son just arrived from south america and I’d like to know if I could sign him up for homeschooling. He is 18 years old and I was wondering how to get started. Welcome to your son! Homeschooling in the U.S. is typically geared toward kids ages 5 – 18. It can be tricky to figure out how to legitimize a homeschooling education after age 18, but we do have an article about homeschooling to complete high school at age 20. Many 18-year-olds in the U.S. take courses at their local community college rather than homeschooling. Your local library may have suggestions for finding adult education programs in your area, as well. Additionally, every state in the U.S. has different laws for education, and in many places, there is actually no “sign up” for homeschooling. You may “sign up” with a particular curriculum company or online/distance learning school, but those “sign-ups” are with those companies or schools. In other states, you do have to notify local school authorities to “sign up,” but that’s only for minor children, not people who are 18 year old or over. Good luck as you and your son discover the best route to advancing his education in the U.S. I’m not sure homeschooling is the way forward for him, but you can find the right path! Is there somebody that can homeschool my daughter or help me homeschool her. Here is an article called Can Somebody Homeschool My Kids that will give you some information. I’m interested in home schooling my 5 and 12 year olds. How can I get started? Get started by reading and taking the steps in our Getting Started article. Roberta, TheHomeSchoolMom does not provide individual homeschool coaching. The volunteers at your statewide homeschool group may be able to answer your individual questions and help you find resources. Homeschooling can feel hard to get going because it requires parents to be “self starters” in ways that feel brand new. We may have previously thought of “schools” as the ones who do everything and provide all the instructions to us as parents. With homeschooling, we have to figure things out for ourselves. There is no substitute for reading the articles, finding out the law where we live, contacting organizations in our state who may be able to help, and following up. I’m a wife and mother of 6 ages 11, 9, 7, 6, 5 and 7 months. Recently our city placed safety officers in the schools that carry assault rifles and I just can’t wrap my head around my child being exposed to that. We want to homeschool again but I am clueless about the legal aspects and technical aspects as far as testing and grade levels. Also college scholarships. People consider homeschooling for many reasons, and unfortunately, the atmosphere in public schools is one of those reasons. You are not alone in your concerns. It is important to homeschool legally, and you can do that in every state in the U.S. and many countries around the world. If you are going to homeschool, you need to do some research about the homeschool laws where you live, so you won’t be clueless. There are different laws in each state, but like other homeschoolers, you can figure this out with the resources we have provided. Testing is not required in all states, and again, you need to find out if testing is legally required in your state. If it is required, you’ll find that in most cases, there are tests you can give at home for relatively little expense, or there may be alternatives to testing. If your children are college-bound, in addition to providing education to them yourself, you will want to help them have transcripts and “outside evidence” of their ability to succeed. College scholarships are often awarded to homeschoolers based on many of the same achievements that apply to public school students: good grades, community activities, leadership, test scores, volunteer service, athletic accomplishments, participation in the arts, and more. Good luck making your decision about homeschooling! I am a mother of four and I am very interested in homeschooling my 3 year old and my 6 year old. The only thing hindering me is not knowing if I would be able to do it with a 18 month old and a 7 month old in the house. It seems way more challenging with babies at home but I am not pleased with the public school system. I also want my children to learn based more on our christian beliefs. What do you advise? Many people do homeschool with babies and toddlers at home. Homeschooling is a family affair! When I homeschooled with a baby, I used a baby sling and a backpack to help keep my little ones close. I did a lot of homeschooling from the couch where we could all snuggle together and listen to stories. When my older kids were working on their letters or artwork, the little ones were finger painting. I did have to think of ways to keep the little ones involved at their level or give them something to do to entertain themselves. Here are some of my other suggestions for homeschooling with little ones. Keep in mind that while it is a challenge to have the youngest around while you’re homeschooling, you save yourself some effort by not having to follow the school schedule, which might require you to get all the children out to attend school or school activities. You do have more flexibility. For example, you can go to the library at a time that works for you. You can make the most of the baby’s naptime instead of sitting in a carpool line, and so on. Many people make it work, though you might have to try for a few months to find your groove! Hi, I am really considering homeschooling my child. 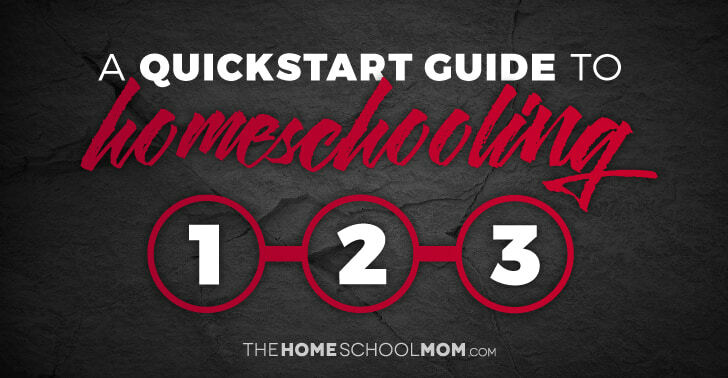 How do I get started to becoming a homeschool mom? Homeschool moms get started by reading up on homeschooling. Read each of the steps above, and click on each link to read the articles that the links connect to. Use the information to know what to consider and what actions to take as you decide whether to homeschool. Good luck! Hi there am looking for my autsim boy home school please let me know if you guys does home school services call me or email me [REDACTED]. 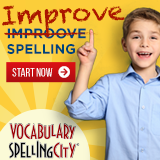 Hi Almaz, TheHomeSchoolMom’s service is providing information about how to homeschool. If you need homebound services for a child who is enrolled in school, you should ask your school division. If you are looking for someone to homeschool your child, you need to find out if that is legal where you live, and then you need to look close to home for someone who is willing to provide what you are looking for. If you are seeking special services because your child has autism, you should contact your local community services board to see what is available. It may go by a different name in your state or community. A social worker who works in your county may be able to help you. My only concern is the 3 different levels I have. My youngest is 2.5. I hope I can cater to their individual needs as my youngest won’t let us do anything…I donot want to be a judge around the house solving their issues amongst each other. Yes, you can delay planning “school” when you first get started, but remember that “deschooling” does not mean “don’t do anything.” You do still want to involve your children in enriching activities. Make sure you read about deschooling here at TheHomeSchoolMom. You will find suggestions like reading aloud, taking nature walks, playing games, encouraging dress-up play, going interesting places, making art, and more. During this time, you will begin to see how homeschooling might work best for them, which will help you pick resources and activities. And yes – ENJOYING time with your kids is the way to start things off right! How wonderful! You will even learn more about how to keep the youngest one entertained while you are doing things with the others. This is what the deschooling period is all about! Hello! This is my first year of homeschooling my child. Any tips or advice you can give for Momma’s who are new to this? I literally opened up 18 more tabs to find more information. 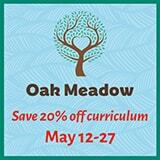 It’s amazing you have this website to help other homeschooling parents out. I can relate about the 18 tabs! 🙂 I’ve bookmarked and favorited so many links and information that it’s a bit overwhelming. But this website is extremely helpful and insightful. I’m glad you’re finding the website helpful. We wrote this really abbreviated Quickstart Guide to kind of boil down essential first steps. There are many cool things to do there with your kids. I know that this does not sound like “homeschooling,” but I promise investing time in these things will get you off to a good start. Just follow the other steps here – find out how to be legal, start slowly, assess how your kids are responding, and look for other homeschoolers in the places mentioned in the article. This is my real first attempt to homeschool. We can no longer afford tuition and I am disabled. Your website was a great first step! Thank you! So glad the information you found here is helpful, Laura. We wish you the best in your first year of homeschooling!